Labour Minister Gopal Rai said complaints regarding non-payment of new minimum wages will be taken up. 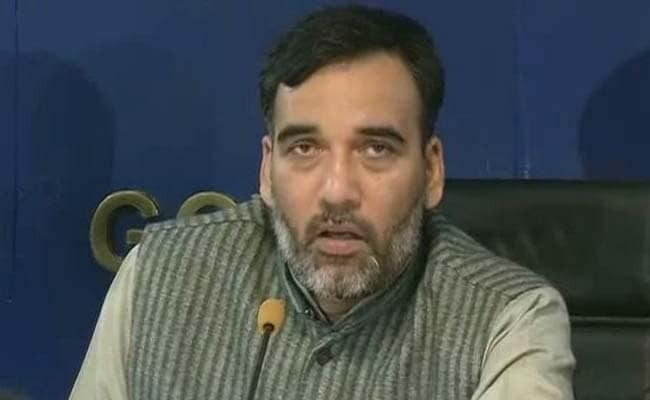 New Delhi: The Delhi government will form special teams in each district to strictly enforce new rates of minimum wages in the city, Labour Minister Gopal Rai said on Monday. Addressing workers on Labour Day at a function, Mr Rai said the department has been directed to take up all complaints regarding non-payment of new minimum wages on priority and their disposal should be in a time-bound manner. As per the Cabinet's decision approved in March, the minimum wages for unskilled labourers will be Rs 13,350 per month, while for semi-skilled and skilled persons, it will be Rs 14,698 and Rs 16,182 respectively. The Labour Minister said all the district heads have been asked to direct labour inspectors in their respective areas to ensure payment of minimum wages at revised rates to workers and all efforts should be made for the same. "The Delhi government is very serious and keen for strict enforcement and compliance of new rates of minimum wages for which special task force teams will be constituted in each district for surveillance and redressal of complaints regarding violation of minimum wages," Mr Rai said. He said the labour department has also decided to directly deposit financial assistance into bank accounts of labourers for their children's study. At present, the Construction Workers Welfare Board gives such funds to the education department of Delhi government, which later distributes the same among the children of the labourers. During the last one year, the board has registered 97,705 construction workers in the national capital. According to the department, data of 1,73,471 construction workers has been sent to Employees' Provident Fund Organisation office (EPFO) for allocation of Unique Identification Number (UIN) which will help monitor their PF accounts.